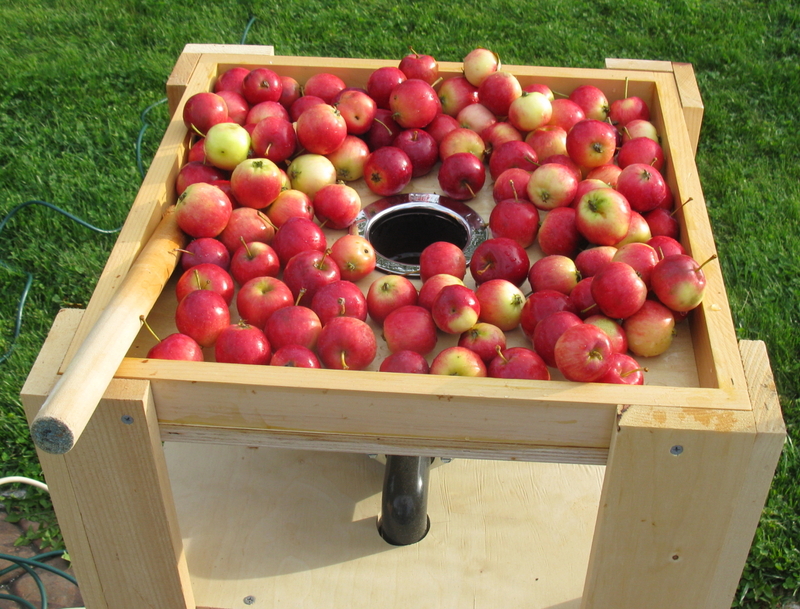 To make cider, you have to grind your apples. There are numerous ways to do this. Likely the first people to do this did it with a bowel and a mallet, and just ground up the apples like a big mortal and pestle. This will work, and you can use a 5 gallon bucket and a piece of lumber if you wanted. It is probably the cheapest way to do it, but it may take you a little while to get it done. Other traditional styles of grinders, or scatterers as the English call them, involved using a rolling barrel with teeth to grind the apples to a pulp. You can buy them, such as from stores like this, or you can make your own version of this device, like this gentleman did. However, I saw that some people were using garbage disposals to grind their apples, and this made sense to me. 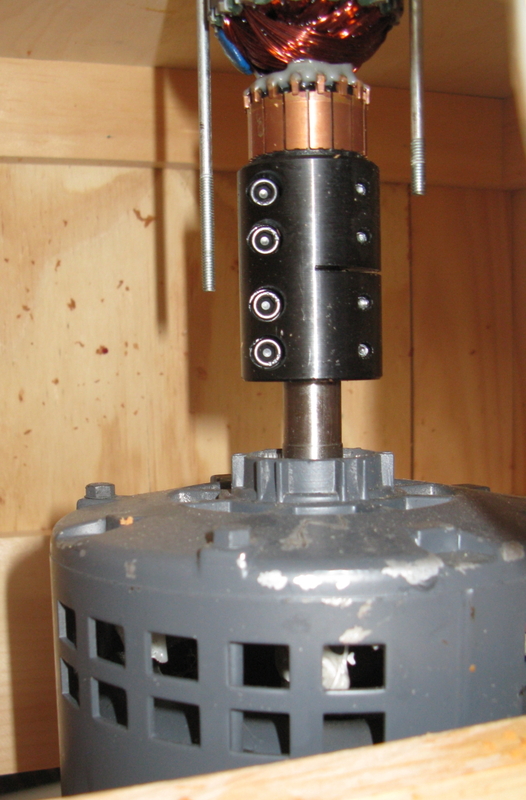 The issue primarily is the the motor on the disposal is not strong enough, nor is it really designed for using more then about 30 seconds at a time. I saw some posts from a gentleman in upstate New York who already came up with a solution to this problem, and built his own grinder using an old electric motor he had on hand. So, credit where credit is due, I bought the plans for the grinder and press from Whizbang Cider, and got to work. All the details of the grinder are in the plans you can purchase from their website, so if you are interested, I would recommend the plans particularly for the grinder. To sum up the process briefly, you buy a new garbage disposal, the bigger the better. I highly recommend Ebay, you can find quite a few good deals. You then take it apart to remove its motor, but keep the grinding chamber and housing in once piece. You then mount a motor to the drive shaft. I bought my motor off ebay for about $20, it is a 1hp continuous use motor that I plug into a switch. I bought a coupler from McMaster Carr to connect the drive shaft of the motor with the drive shaft of the disposal. Coupler mounting the motor to the drive shaft of the disposal. Then everything is bolted/screwed into the housing. 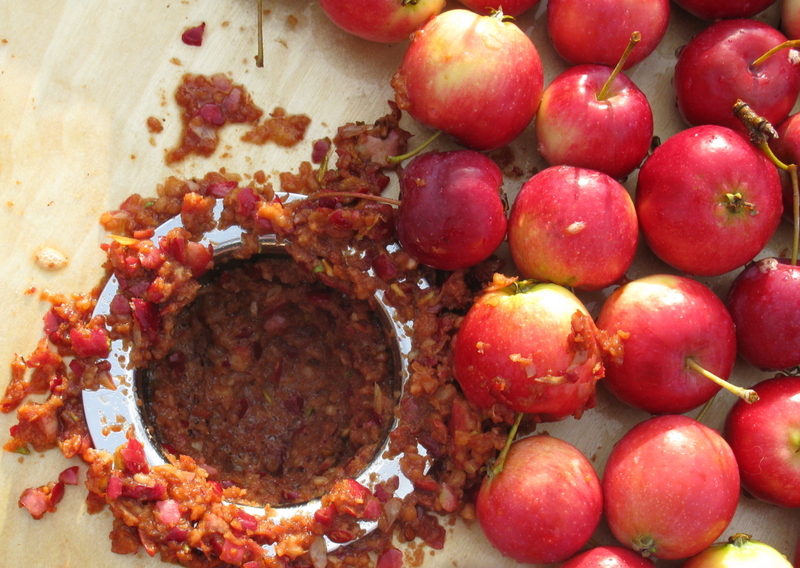 The top of the grinder acts as a hopper holding the apples, and you just smush them into the garbage disposal as it is running. The wooden dowel on the top of the grinder is what I use to push the apples down. 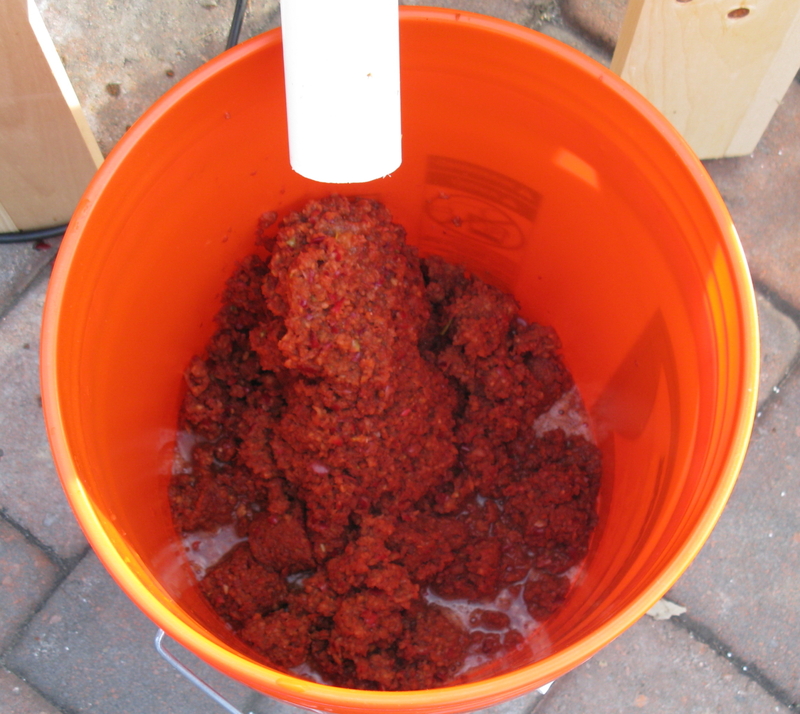 As it grinds, a nice, thick, apple paste is expelled through the chute. I think a rolling barrel scatterer device, like those listed above, will give you a quicker grind, but it does not grind the fruit nearly as well. The better your grind, the better your extraction rate. For example, I got 1 gallon of juice from just under 15# of crabapples. That is a little over 50% extraction rate off the press. It seems most folks get about 2-3 gallons of cider from 1 bushel ( about 42#) of apples, and I think the biggest variable in that is the grind. In my experience my process gets about 3 gallons per bushel. In subsequent posts, I will talk about the press. 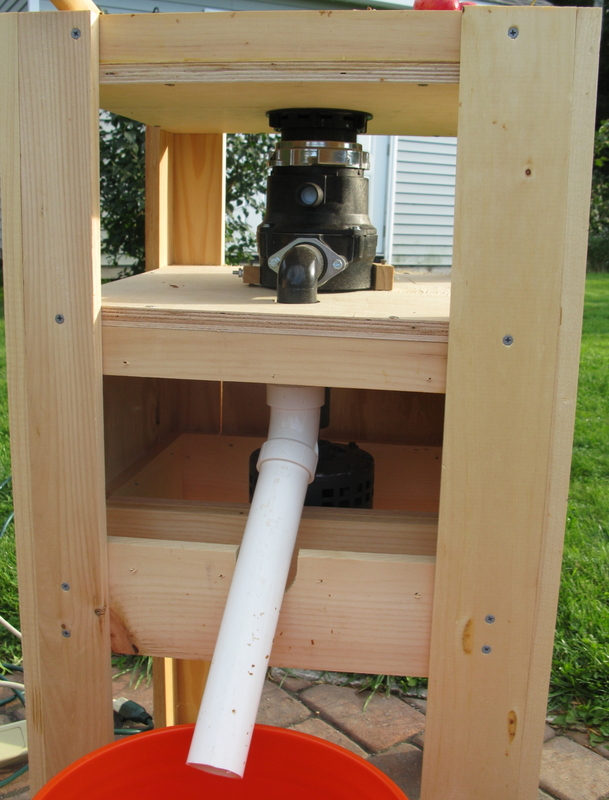 I did build the press as outlined from the Whizbang Cider site above, but in retrospect, I would have done it differently, and have already adapted my process. More to come on that. I will do that when I get it out of the shed this weekend. Can I get more details on the motor you purchased? I need to get that and the coupler. I will take a look at the motor when I get it out this weekend, but it was a 1 hp electric motor I bought used off ebay for 20 bucks. I had to rewire it to change the rotation of the drive shaft, but that was easy to look up and do. The coupler I purchased from McMaster Carr. 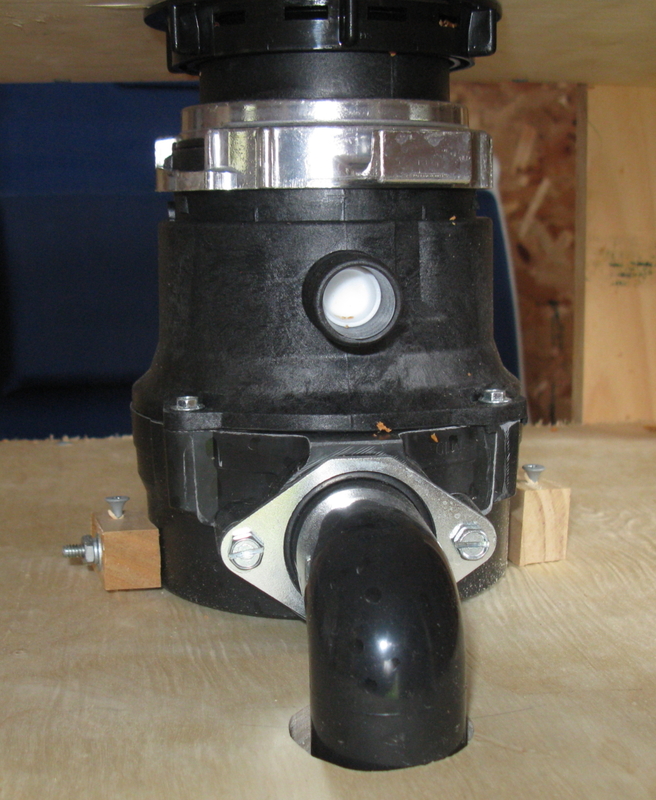 The coupler will be unique to your set up, depending on the size of the drive shaft on the electric motor and on the disposal unit. I would get those first, than buy the coupler that works for those dimensions.